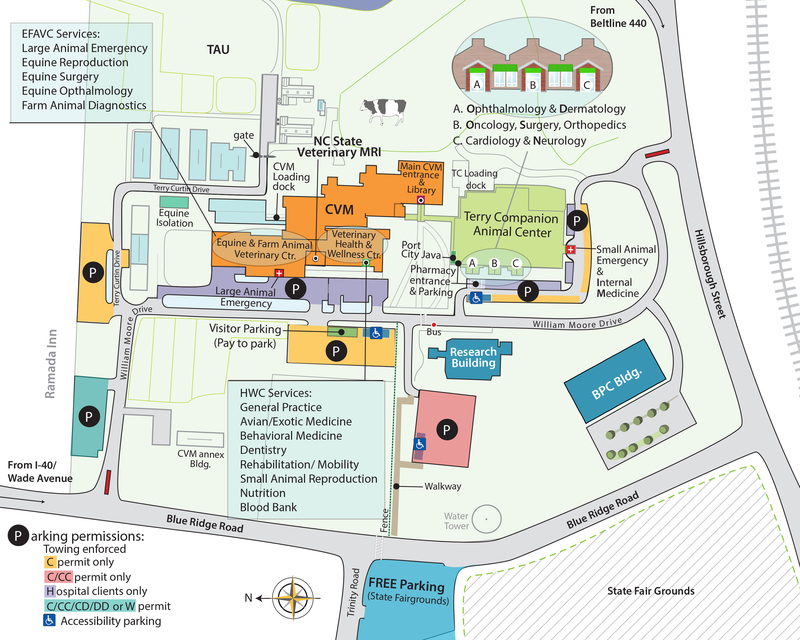 I have been at NCSU CVM for more than 30 years active in teaching, service and research. My early training occurred at the University of Pennsylvania for undergarduate and veterinary school. After a small animal internship at Angell Memorial Animal Hospital and a brief stint as a small animal practitioner I entered a combined residency/PhD program at UC Davis. 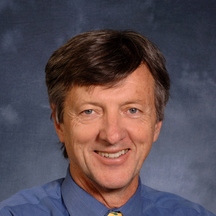 I have been at NCSU ever since working in various aspects of liver disease, both spontaneous and experimental. Animal models of viral hepatitis have been my main emphasis over the last number of years. My focus is diseases of the liver. I have worked primarily with models of viral hepatitis, but am also engaged in studies of hepatic toxicity. New Parvovirus Associated with Serum Hepatitis in Horses after Inoculation of Common Biological Product. Divers TJ, Tennant BC, Kumar A, McDonough S, Cullen J, Bhuva N, Jain K, Chauhan LS, Scheel TKH, Lipkin WI, Laverack M, Trivedi S, Srinivasa S, Beard L, Rice CM, Burbelo PD, Renshaw RW, Dubovi E, Kapoor A. | Emerg Infect Dis. Feb;24(2):303-310. doi: 10.3201/eid2402.171031. Qualitative metabolomics profiling of serum and bile from dogs with gallbladder mucocele formation.Gookin JL, Mathews KG, Cullen J, Seiler G. | PLoS One. Jan 11;13(1):e0191076. doi: 10.1371/journal.pone.0191076. .
MAVS-dependent host species range and pathogenicity of human hepatitis A virus. Hirai-Yuki A, Hensley L, McGivern DR, González-López O, Das A, Feng H, Sun L, Wilson JE, Hu F, Feng Z, Lovell W, Misumi I, Ting JP, Montgomery S, Cullen J, Whitmire JK, Lemon SM. | Science. 2016 Sep 30;353(6307):1541-1545. Molecular cytogenetic characterization of canine histiocytic sarcoma: A spontaneous model for human histiocytic cancer identifies deletion of tumor suppressor genes and highlights influence of genetic background on tumor behavior.Hedan B, Thomas R, Motsinger-Reif A, Abadie J, Andre C, Cullen J, Breen M. | BMC Cancer. 26;11:201. H-ras consensus sequence and mutations in primary hepatocellular carcinomas of lemurs and lorises.Cullen JM, Williams C, Zadrozny L, Otstot JT, Solomon GG, Sills RC, Hong HH. | Vet Pathol. 48:868-74. Congenital hepatic fibrosis in 5 dogs.Brown DL, Van Winkle T, Cecere T, Rushton S, Brachelente C, Cullen JM. | Vet Pathol. 47:102-7. Aflatoxin B1 and/or hepatitis B virus induced tumor spectrum in a genetically engineered hepatitis B virus expression and Trp53 haploinsufficient mouse model system for hepatocarcinogenesis.Cullen JM, Brown DL, Kissling GE, Foley JF, Rizzo J, Marion PL, Parron VI, French JE. | Toxicol Pathol. 37:333-42. Mechanistic classification of liver injury.Cullen JM. | Toxicol Pathol. 33: 6-8.
cDNA microarray analysis of HBV transgenic mouse liver identifies genes in lipid biosynthetic and growth control pathways affected by HBV.Hajjou M, Norel R, Carver R, Marion P, Cullen J, Rogler LE, Rogler CE. | J, Med Virol. 77: 57-65. Paraneoplastic pemphigus in a dog with splenic sarcoma.Elmore SA, Basseches J, Anhalt GJ, Cullen JM, Olivry T. | Vet Pathol. 42: 88-91. Adenovirus-based gene therapy during clevudine treatment of woodchucks chronically infected with woodchuck hepatitis virus.Zhu Y, Cullen JM, Aldrich CE, Saputelli J, Miller D, Seeger C, Mason WS, Jilbert AR. | Virol. 327:26-40. Woodchuck interleukine-6 gene: structure, characterization, and biologic activity.Li DH, Kumanogoh A, Cao TM, Parnes JR, Cullen JM. | Gene. 342: 157-164. Kinetics of hepadnavirus loss from the liver during inhibition of viral DNA synthesis.Zhu, Y., Yamamoto, T., Cullen, J., Saputelli, J., Aldrich C.E., Miller, D.S., Litwin, S., Furman, P.A., Jilbert, A.R., Mason, W.S. | J Virol, 75:311-322. T-helper cell response to woodchuck hepatitis virus antigens after therapeutic vaccination of chronically-infected animals treated with lamivudine.Hervas-Stubbs S, Lasarte JJ, Sarobe P, Vivas I, Condreay L, Cullen JM, Prieto J,Borras-Cuesta F | J Hepatol. 35:105-11. Idiopathic noncirrhotic portal hypertension in dogs: 33 cases (1982-1998).Bunch SE, Johnson SE, Cullen JM. | J Am Vet Med Assoc, 218:392-9. Sustained survival of human hepatocytes in mice: A model for in vivo infection with human hepatitis B and hepatitis D viruses.Ohashi, K, Marion, P.L., Nakai, H., Meuse, L., Cullen, J.M., Bordier, B.B., Schwall, R., Greenberg, H.B., Glenn, J.S., Kay, M.A., | Nature Med, 6:327-333. Woodchuck lymphotoxin alpha, beta and tumor necrosis factor genes; Structure, characterization and biological activity.Li, D.H.,Brown, C., Havel.E., Cullen, J.M., | Gene, 242:295-305. Dietary fructose induces endotoxemia and hepatic injury in calorically controlled primates.Kavanagh K, Wylie AT, Tucker KL, Hamp TJ, Gharaibeh RZ, Fodor AA, Cullen JM. | Am J Clin Nutr. 2013 98:349-57. Gene Expression Analysis and Urinary Biomarker Assays Reveal Activation of Tubulointerstitial Injury Pathways in a Rodent Model of Chronic Proteinuria (Doxorubicin Nephropathy),Cianciolo R., Yoon L., Krull D., Stokes A., Jordan H., Rodriguez A., Davis C., Falls J., Cullen J., Kimbrough C., Berridge B. | Nephron Experimental 124:1-10. Identification of a pegivirus (GBV-like virus) that infects horses.Kapoor A, Simmonds P, Cullen JM, Scheel T, Medina JL, Giannitti F, Nishiuchi E, Brock KV, Burbelo PD, Rice CM, Lipkin WI. | J Virol. 87:185-90. Diode laser endoscopic cyclophotocoagulation in the normal equine eye.Harrington JT, McMullen RJ Jr, Cullen JM, Campbell NB, Gilger BC. | Vet Ophthalmol. 16:97-110. Evaluation of diode endoscopic cyclophotocoagulation in bovine cadaver eyes.Harrington JT, McMullen RJ Jr, Cullen JM, Gilger BC | Am J Vet Res. 73:1445-52. Reye's or Reye's-like syndrome in western lowland gorilla (Gorilla gorilla gorilla).Minter LJ, Cullen JM, Loomis MR. | J Med Primatol. 41:329-31. Serology-enabled discovery of genetically diverse hepaciviruses in a new host.Burbelo PD, Dubovi EJ, Simmonds P, Medina JL, Henriquez JA, Mishra N, Wagner J, Tokarz R, Cullen JM, Iadarola MJ, Rice CM, Lipkin WI, Kapoor A. | J Virol. 86:6171-8. Effects of Kupffer Cell Depletion on Acute Alpha-Napthylisothiocyanate-induced Liver Toxicity in Male Mice.Cullen JM, Faiola B, Melich DH, Peterson RA, Jordan HL, Kimbrough CL, Prescott JS, Miller RT. | Toxicol Pathol. Aug 10.